In this recent survey, one of the biggest responses to “What is the #1 challenge or frustration in your life?” was “food”. The words varied; weight loss, diet, meal planning, sugar, but it all came down to food. I struggle with food too, especially this time of year. I’m not good with moderation, and notice that I’m much happier when I have less to choose from, and when I remove temptation completely. One purse? yes. One pair of heels? sure. Just one cookie or potato chip? not happening. Since I’m not a doctor, nutritionist, or in any way qualified to tell you what to eat, I can only help by offering what I know best. Simplicity. The answer is less. 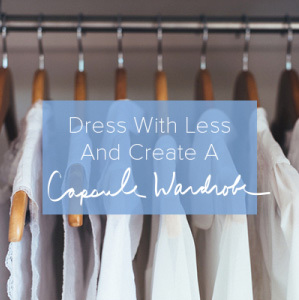 Capsule wardrobe challenge Project 333 continues to solve the “I have nothing to wear” problem for thousands of people around the world. It has saved countless hours, dollars, and the mental angst of closet overwhelm, and now we are taking it to the kitchen. A Project 333 Capsule Kitchen Challenge: 3 months. 33 ingredients. This is a challenge and experiment to see if limiting your food choices offers health and lifestyle benefits. There is only one way to find out. 2. Add spices, condiments, and anything you like to pump up the flavor (less than 1 tablespoon at a time) and don’t count them in your 33. 3. Be specific when choosing your ingredients. “crackers” is not specific, Triscuits is specific. beans = not specific. lentils = specific. cheese/meat/veggies = not specific. swiss/chicken/asparagus = specific. pasta = not specific. whole wheat penne = specific. 4. This is not a project in suffering. If you need a cheat day once a month, take it. If you need to redo your list because you can’t make a meal from yours, change it. If you spend a week in Paris, eat a macaroon. Don’t let one excuse derail the entire challenge. Work around it. 5. Eliminate a crutch or trigger food for 3 months. Examples may include sugar, flour, salt, alcohol, meat, dairy, animal products. Join the Facebook Group (coming soon) and we can chat about challenges and successes. We can exchange ideas and support each other. 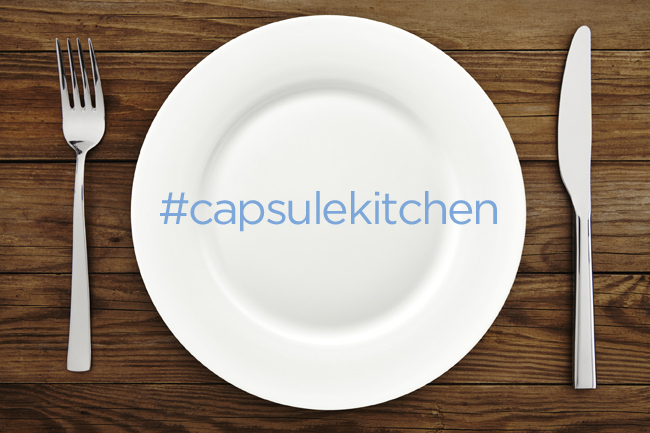 Use hashtag #capsulekitchen on Twitter and Instagram. Ask your family, friends or co-workers to join you. For a good picture of what you are really eating and for extra accountability, keep a food journal. Write down what you eat and how you feel. I’ll know more after the first 3 months, but based on what I’ve learned from a capsule wardrobe, I’m expecting the following from the capsule kitchen challenge. more time: No wandering aimlessly through the grocery store or eyes glazing over at a 20 page menu. You already know what you will and won’t eat. more mental energy: This challenge eliminates “what’s for dinner?” You don’t have to think about what you are eating or watch out for trigger foods. Decision fatigue will be a thing of the past when it comes to food. more money: When you are eating the same limited number of ingredients there will be less waste. You can also expect to spend less dining out. Some of your go to restaurants might be off-limits depending on your list. better health: This isn’t a diet or proven weight loss plan, but I’ll be surprised if I don’t drop weight. If your list is made of mostly whole foods that are good for you, then the majority of your meals will be healthy. For instance, I don’t have room on my list for coffee shop pastries or other goodies so I won’t be ordering “coffee and …” when I meet friends or work in a coffee shop. my 33 ingredients: find them here. Is this a weight loss plan? It might be depending on the foods you eat, but it’s designed as a challenge to see what happens when you stop thinking about endless food choices and thoughtfully choose ingredients to fuel a happy, healthy body. January 2, 2015 is the official start date, but start anytime. If you like the challenge, change out your ingredients every 3 months to include your seasonal favorites. Why don’t condiments count towards your 33? Because I said so. If you want to count them, you can, but I think the variety will help. You might, but working with fewer ingredients might allow you to be more creative in the kitchen. Ask friends and food bloggers for help and make fun dishes with your 33. It might also be interesting to get bored and see how that impacts other areas of your life. Eat the same breakfast and lunch everyday for the first month, or the same lunch and dinner. Have fun with this and experiment. How can I connect with others who are taking the challenge? Join the Facebook group (invitation coming soon). Use hashtag #capsulekitchen when tweeting or sharing images on Instagram. When can I see your list? Here it is! You can create your own list or use mine. 3 months, but you can create seasonal capsule kitchens for a full year and change your ingredients every quarter. Great. Leave a comment and I’ll answer your question. Comments are moderated and don’t post immediately, but I will answer your questions. What not: spice and sauce: anything you would use to pump up the flavor of your meal – oil, vinegar, spices, condiments. It’s in this category if you use a tablespoon or less in your recipe. How: Choose your 33 items and create meals for 3 months with those ingredients. Be specific. What else: When in Rome: If you are traveling or in a situation where sticking with your 33 ingredients is too stressful, put a hold on the challenge and get back to it when you can. When I launched capsule wardrobe challenge Project 333, people thought it was crazy and extreme. It isn’t. You might think this sounds crazy. Use that as motivation to see for yourself. If you treat “crazy” as a challenge instead of an excuse, life is more fun and fulfilling. 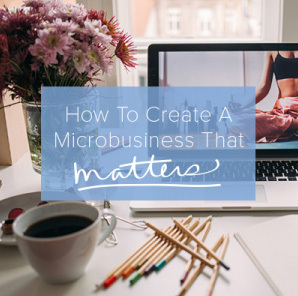 Visit this post to see more on getting started and my list. Join the Facebook group here. I have been having digestive issues (gallbladder, heartburn etc) and trying to change my eating habits all by myself as hubby and kids won’t go for it, so I am in! Interesting idea. I have multiple dietary restrictions and food allergies; I suspect that the range of ingredients that I eat regularly is more like 20. I am interested in seeing what others are doing. I have tried challenging myself With one month without during 2014, example one month without meat, or candy/chips. So this challenge is a good Way to continue in 2015, i have been thinking of making a mealplan, With x meals and onl y eat those. Im alergic to gluten so i choose well, and make almost all meals myself. Thank you for inspirering me! Such an interesting and intriguing idea. I’ve noticed with my own family that my kids get so excited about the simple meals I offer – which is fantastic for my meal prep! This is going to have me thinking quite a bit for the next couple days/weeks! I’ve been toying around with the idea of doing something similar in the new year, but was having a hard time nailing down a plan. You just handed it to me on a silver platter! Food is by far one of the most stressful areas of my life, so I’m looking forward to simplifying and bringing back the joy of healthy, whole foods. Thanks for the inspiration! Hi Dawn, Great idea. I’ll share in 2 days with some of the recipes I’ll be using. In trying to cut out wheat (in fact, most grains), I have reduced my ingredients to about this level already. I did not do it intentionally, just due to budget realities with the rest of the family continuing on a “normal” menu. Even my dinner menu is not very diverse. Cooking for one, I just reuse about six dinners, most of which leave me with leftovers for the next lunch or dinner. I do vary the ingredients and the seasoning somewhat, but I’ve not had a problem with boredom, even after several months doing this. Your ideas, Courtney, are just marvellous. This is exactly what I want to do. I’m in!! This looks like an interesting experiment. I’m already on a limited diet and eat fewer than 33 items. It probably saves some time shopping and preparing, but there’s still three meals a day and the clean-up for myself and my husband who eats differently than I. I’m curious what people will discover! This is such a cool idea! I never was into fashion so the fashion333 is basically something I’ve done for years lol. This one I could totally get in board with. I won’t be participating at this point (31 wks pregnant & the freezer is getting stocked with a large variety of homemade meals for when she’s born), but I suspect ordinarily we don’t eat much more than 30-40 staple foods each week. I like to keep it simple and healthy. I am going to be following along & hope to participate once I get through the post partum phase. This is just what I was looking for! I have multiple food intolerances and after a year of a really strict elimination diet, I got fed up and back-slid the last six months and of course all my symptoms have flared up again. Sitting down to examine my habits and figure out why I wasn’t able to find a balance between all an or nothing way of eating, I realized it’s because I don’t have good habits around cooking regularly and shopping with planned meals in mind. I decided I needed to come up with a plan to do this but the plan needed to be simple and not stressful to follow so that I will stick with it and not get overwhelmed and revert to old habits. This challenge looks like a good place to start! Kristen – I could have written your comment – same situation, same backsliding. I agree that a simple plan is the route to success. Good luck to us both! Love this idea and I am in! We’ve been eating our way through our pantry because there’s way too much food in there just for us two, so this is perfect timing. I’ve only been buying things that I know I eat regularly like veggie patties, tofu, veggies, etc. Can’t wait to get started! I’ve been flirting with something like this for a while. My inspiration came from http://www.thestonesoup.com where most of her newer recipes are prepared with five ingredients or less AND she gives suggestions for modifications/substitutions if you don’t have or want one of the ingredients or just want to change it up. So simple that there’s no excuse not to cook or have the ingredients on hand. Every now and then, I promise myself that I’ll only cook with what I really love to eat, then I lose my motivation. This sounds like fun! I think I’m already doing this, since I just keep basic healthy ingredients around to make my own vegan meals from scratch. Spices – I don’t think there’s a spice I don’t have, carefully preserved in my fridge or freezer. I like my food spicy hot, and with cumin, turmeric, Mexican, Indian, and Asian flavors. I can make a sauce from cashew butter, coconut milk, miso, garlic, and spices that is better than gravy! THANKS for sharing your list – so helpful! And whoa – would LOVE to have that recipe for your sauce – it sounds amazing! Also, I’ve not heard of storing spices in fridge/freezer…are there some general guidelines on that, like which spices should definitely be refrigerated, or just all of them? I started storing my nuts/seeds and flours in the fridge a few years ago but didn’t know about spices. Something told me one hot, humid Missouri afternoon, when the sun was shining into the window right onto my spice rack, that there had to be a better way to preserve my very inclusive and vast collection of spices. So I had saved a bunch of tall, skinny caper jars with tightly sealed lids. In those, my most used spices fit into one rack in my fridge. Because I don’t use any traditional condiments, I have lots of door storage space. Everything else is stored in tightly sealed jars and vacuum bags in the freezer. I’m not sure of the amount of time you can store them, or what you are supposed to store or not, but I go through spices quickly. Face it, most of us have stored spices in cabinets next to our stoves for YEARS. So I figured this can’t hurt! Vegan gravy: gently saute a lot of garlic in a few tablespoons of coconut oil, whisk in three tablespoons of cashew butter (or any nut butter), one tablespoon miso (very salty–any kind), 1/4- 1/2 cup coconut milk (depending on if you want a thicker or runnier sauce). Add one teaspoon maple syrup or unsulphured molasses. Simmer over very low heat for about 5 minutes to meld the flavors. At the end, add the juice of half a lemon or lime. Umami! We have it over veggies, quinoa, quinoa pilaf, veggie stir fry, as a raw veggie dip. It’s a creamy, protein rich, gluten-free alternative to floured gravies, but only if your miso is also gluten-free. I forgot to include the spices for the cashew gravy: 1 tsp grated fresh/frozen ginger, 1/4 tsp ground coriander, 1/8 tsp ground anise-like spice (star anise, fennel seed, anise seed). Sometimes I just saute the star anise whole with the garlic, then take it out before whisking in the rest of the ingredients. You can spice as you prefer, of course. I like seeing your potential list because I am following a whole-foods plant-based diet in the style of Engin2/Forks Over Knives/Happy Herbivore. I like to think I’m following the “Pliocene Diet” instead of that passe “Paleo Diet”. That’s why I eat mostly greens at base of my pyramid. Will be checking out the Happy Herbivore. At least there are less pots and pans to clean! I am in. Not sure if I can make my family of 5 join in. I of course like the simplicity of it but I do love certain foods that kids don’t. So I may just do it for myself. Great idea. Looking forward to all the encouraging along the way. love it! capsule ‘living’!! many fun places to use the concept i believe, and can’t wait to see how capsule eating works…count me in! Fantastic! I am 64 years old. I have been in pain since I was six. I was put on medication since age 15. You can only imagine the number of specialists I have been to over my life! So near to suicide in the 1990s with pain. Both my husbands have died of cancer; the second one last year! What a life! Well………. I went to yet another “specialist” six weeks ago. A machine, something to do with electricity in the body recording energy when exposed to metals, foods, etc., (I am no expert). I had suspected many of the foods for years, ie garlic, tomato, cauliflower, pork, plaice etc. This machine picked them ALL up. The poor woman was so sorry for me! I was so excited! I eliminated the LOT from my diet and I HAVE NO, NO, NO, PAIN!!!!! 64 YEARS OF PAIN AND MEDS. So, I am really, really looking forward to all the ideas you put forward. I don’t care if I have to cook the same menu over two week period, for the rest of my life. NO PAIN. (I am returning to the machine on Sat for an hour – because I got so excited I have forgotten so much of what I CAN eat!) ALSO – being a bit over-enthusiastic – I reduced some of my meds over the last three weeks! HOWZ ABOUT THAT!!!! Can’t eat Brassica family or Nightshade family of veg. Cow’s milk. Root Vegs ok etc etc (“One man’s food is another man’s poison”) My family had 3 acres & grew all their veg too! Need your help with the PLAN 33 more than at any time in my life. PLEASE!!! I have found that I eat much healthier when I eat the same thing on a regular basis. Mondays were always one particular meal, same with Tuesday, Wednesday, and so on. I would plan a month this way, and then do one new recipe on Sundays when I had more time on my hand. If I liked the new recipes, they could be rotated into the next month. This challenge works really well into that idea, so I will definitely be taking this on. The capsule wardrobe is working for me, so why not the kitchen. I eat really REALLY simply – for health and financial reasons it is so much easier to eat simply!…..and people ask me how to eat well on such a little budget! I need to do this just for the organizational skills required to write this down in hard copy so I know it……I think this is Brilliant! Count me in! I will start Dec. 30-Jan 1st as I will be with my family and not in control of my food over the holidays. It will be perfect timing for a fresh start and returning to healthy eating. Like many others, I think the number of my “normal” (no-sugar, low-carb) foods are in the 30-ish range and generally enjoyable. Nevertheless, I routinely feel sorry for myself because of the limits and then blow it up in frustration for a few days. It will be interesting to see how others approach the limitations, both physically and mentally. I’m so IN. Thanks. Thanks Leigh, I’ll be in touch once we get started in early January! 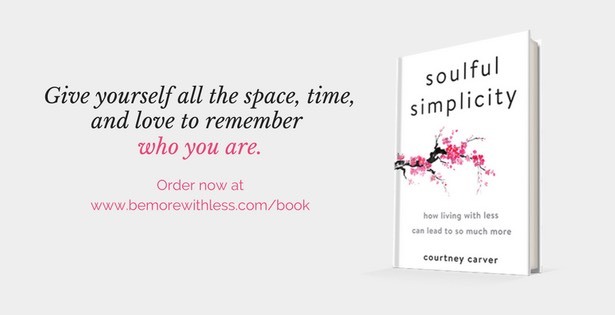 Wow…I had to smile when this landed in my inbox Courtney! A flow on from the principals you apply to the Project 333 Capsule Wardrobe, there is no reason why this approach wouldn’t work with some guidance from you and Foodiecrush. Very cool! ooooooooooooooh, this sounds like fun! everybody starting 1/1/15? some folks on those minimalist type sites write about limiting spices to “italian” or “curry”or penzey’s “sunny spain” etc instead of having a kazillion…. some might enjoy pondering that possibility with this challenge. fun to have these challenges lined up for 2015! thanks, Courtney, for more inspiration! Glad you like the idea Polly. We’ve been talking about about capsule spice collections, but will probably introduce them along the way. Great idea! No, can’t give up my spices! You’ll have to pry them out of my cold, uh, cold hands–lol. With only 33 items to eat, I really need my spices. this challenge definitely interests me, especially since i love cooking and am curious what i’m able to do with just 33 items. i’m assuming we can change the list each month? or is the idea that we just keep it to the same 33 items. Teryll – It’s 33 ingredients for 3 months. Then you can switch it up for the next 3 months if you like it. I just read a section of a book where a woman only ate 7 foods for a month (freebies were olive oil, salt, pepper, water) and it made me start thinking about what my 7 foods would be. Her goal was to understand the excesses in her life but mine is more about simplicity and health. I’m with Kristin above in needing an easy to follow plan. From following an elimination food plan I know that limiting the foods you eat makes grocery shopping so much easier. However I need to come up with strategies for shopping in a timely fashion and preparing food I can grab on my way to work. I’m in! Husband, too! We are new empty-nesters with recent job/income changes… perfect timing for us! Thank you!! My biggest challenge with this is the varying diets in my family of four. My oldest son and husband are meat eaters, my youngest son is a vegetarian and I am vegan. This idea really works for me and my vegan lifestyle, not sure I even eat that many different foods. I do need to simplify my time in the kitchen and what I am feeding us ALL! I think it is a great idea. Thank you! LOVE THIS! This is exactly what I need! My initial reaction (besides fear of boredom) was one of a concern for nutritional deficiency from eating the same foods over and over – something I’ve read/heard in nutrition circles. But the truth of the matter is, not just for me, but probably for most people – we kind of do that anyway. We all have our go-to’s and they’re probably limited to about 15 – 20 meals, with the occasional step out of the proverbial food box. But I suppose that’s why this is called a “Challenge”! I’m up for it, and I love the idea of seeing what comes up for me (internally) when I choose to simplify in this area of my life as well. use washing soda and yellow soap powdered up together in the food processor to make laundry powder, and a lot of cleaning products can be replaced with baking soda and white vinegar. You couldn’t have come up with a better Challenge for me, Courtney! I’ve already simplified our family’s meals with a rotational eating plan, but cutting down the ingredients we keep on stock is something I’ve been meaning to tackle for a while. I found that the simpler I keep my diet, the easier it is to keep healthy. Variety inevitably means eating to excess for me. I’m taking your Challenge and my food to eliminate is SOFT DRINK! Wow, I think I will give this a try. This totally ROCKS! I’m in! I did try this and i would be willing to give it ago again, however the reason it failed was the fact that eating out became a real problem; not eating bread for instance caused problems with a quick lunch out, which often involved bread. Just not eating sugar was so complicated as there is sugar in most foods unless you make it yourself, but yes i am up for a new start in the new year. Option paralysis is something that really trips me up, even when focusing on meals with whole foods. This is a really interesting take on approaching meal planning. Looking forward to following along. Planning it and listing what I’m actually eating will make me choose healthy options which will hopefully last me for the whole 3 months. At first I thought – no way! Then I saw spices etc don’t count, and when I think about what I cook, I tend to stick to similar things. The BEST thing about this is it will make me cook seasonally – not spending ridiculous amounts for tomatoes in winter. That helps the bank balance as well! I’m going to give this a go! My only query is whether baking goods e.g. flour, baking powder, yeast etc count as I make my own pizza bases and try to bake rather than buy biscuits. If they count I might have to make 5 baking goods an exception as they’re the basis for most things I bake. Hi Susan, How you count that is really up to you. I’m intentionally leaving flour out and not baking for the 3 months, but I know that’s not for everyone. I am up for it. Have been struggling in the kitchen forever! I’m a decent cook but it doesn’t come naturally and I agonize over dinner many nights. I also have two VERY pick children whose food habits really concern me. They are sugar junkies. This will be a big challenge for us, but I’m thinking that if I get their input, it might work. Would love to hear from others who are struggling to detox their kids. HOWEVER, I have some college aged kids who could benefit from learning how to make good, standard meals from a handful (33) set of ingredients. This could be incredibly useful information. I think that I will join this effort and document it so that I can pass it on to those of mine who are ready to leave the nest. One question though – what about holiday food – like a birthday cake? How is that handled on this food plan? I think birthday cake would fall in the “when in Rome” category. A slice of cake isn’t a deal breaker. $180 per month per person? Or $180 per month total… cuz I’d love to know how to feed people for 25 cents per meal! I do this by taking advantage of fresh vegetables, bake from scratch, use meat to add flavor (no 16 ounce steaks for us) and I watch portion size. I really think that the *key* to simplifying the kitchen is to learn a few solid cooking skills, know what flavors go well together and know what a true portion is. The rest, as they tend to say, is icing on the cake. Most meat prices here start at $10 / kg and go up from there (even a pack of sausages will set you back a good few dollars), basic cheese is $10 / kg and a single cucumber costs $3. Apples are usually around the $4-5 / kg mark and they’re about the cheapest fruit you can get. And yes, we’re a massive grower of apples and an exporter, so why they should be so costly is beyond me. Pretty much everyone I know does “work arounds” – they go fishing or know someone who fishes and do barter, they buy whole animal carcasses direct from farmers (we’re a nation that exports lamb yet we pay $30 / kg for it go figure), they grow their own vegetables, chicken keeping is getting very popular. Not through choice, but simply because they couldn’t afford to eat otherwise. A typical family of four will cost $100 – $150 / week to feed, and ours clocks in at about $200 for four because we “eat well” (i.e. avoid junk and buy real food rather than processed). There is just no way anyone could feed a family of eight on $180/week, let alone a month, not even if they were eating nothing but processed bread and budget pasta. The moment you added in the cheapest fruit (apples at $2 / kg in the height of their season and nothing else, because all other fruit is much more expensive than that), you’d go well over that budget. It’s very interesting to hear how much people spend on groceries in different countries. So just commenting on this one. With my 33 items, I’m just counting each type of meat as 1 item, which gives me the flexibility to take advantage of sale prices. I’m with you guys. No way I can get groceries for that much here, and I’m only feeding a family of three. Now, one is a teenage boy, and one burns lots of calories running and biking, but wow! I’m not in the USA either, and 80% of what I get is produce. Not cheap here. Add in some commercial gluten-free foods for the boys who live on bread and cereal, and I would consider it a success if I could feed us on $450/month. BTW, I’m not counting the gluten-free processed stuff in my 33, since I don’t eat them. I’m only counting the things that I eat/cook/bake with. Julia – You make a really good point (I’m down in Mosgiel, just outside Dunedin). Although food is very expensive – especially meat – there is no way I could feel ethically comfortable with animals being treated poorly. We manage by keeping our own sheep (twelve of them) and chickens (six good layers) and growing a fair bit of our own food (my kale is sooooo yummy! ), and we barter the excess meat with families in town who don’t have land to grow their own in return for everything for sewing machines (yes really) and fish to jams and chutneys. It works well. 1. Frozen and home grown berries. Seasonings we use a lot of include: garlic (home grown), lemon juice, sweet chili sauce, mustard, ginger, tomato sauce (ketchup), hot mango pickle, chili powder, cinnamon. We’re lucky to be able to grow a lot of our own food and have 3 organic acres on which to do so, and have access to clean fishing waters etc. I have friends who dive and fish and they barter their excess with me, which is terrific. I’d never be able to pay supermarket prices for the food we eat if I had to buy it! But I’m still cringing at the $80 we paid for the turkey for Christmas – ouch! Thank goodness Christmas is only once a year! I think we’ll have crayfish next year instead. I’m not counting pantry basics in my 33 – that’s stuff like flour, sugar, cornflour, cocoa etc. Otherwise there’s no way I’d make the 33 and we don’t exactly “eat” them anyway! Thanks for posting this. I live in a family of five carnivores, and I was at a loss of how to put a capsule together that included a few means. If I attempted some of these others there’d be a revolt at my house! We all like lamb but rarely buy it. Perhaps we’ll give that a try for three months. Thanks –Your list has given me lots of great ideas! I am an Australian and I was n New Zealand in November. The meat prices were astronomical. Some of our Aussie food is quite expensive too. I lose count of my food spend some weeks. My problems for the challenge are two fold. I have diagnosed food allergies and some intolerances. I have been eating around those since childhood. However, my family are fussy and I am beyond tired to dealing with the won’t eats etc. I used to love to cook but now I dread the it from the menu selection onwards. I will be reading this challenge with great interest. I have two over flowing freezers and a stuffed pantry so I am trying to use things up and have been for quite some time. I will continue in the waste not mode until the cupboards are bare and I feel like Mrs Hubbard. Only then will I commit to this plan and I will be copying and stealing as many ideas as possible. I do have one question. I am a small eater and diabetic and find I need to eat protein at every meal to keep my sugar levels more stable. So I am interested to know how those with vegetable based diets manage this. My daughter’s boyfriend eats massive amounts; is always hungry; and has lost too much weight since becoming vegetarian. My brother was the most successful vegetarian I knew and sadly I cannot talk with him after losing him. So if anyone can help me I would be so thankful. Very interested. Need to drop 15 pounds from post-surgical weight gain (from mostly eating too much and not exercising…). Have recently attempted Vegan/Plant Based diet, and while I still want to do that, I’m going with “Vegan Before 6” and then doing Pesca Vegetarian dinners…when I eat out. So 33 ingredients shouldn’t be a huge issue. I also have health problems that are affected by diet (heart disease, high blood pressure) so am not just interested in this program, but can offer some experience if you’d like my help. Am on Facebook, and can help sporadically there. Just let me know! Sorry to hear about your health issues. I am using recipes from Happy Herbivore and Forks over Knives for my high cholesterol. I’m a Mark Bittman fan, too. How to Cook Everything Vegetarian still has a place on my bookshelf despite the fact I limit my non-whole food plant based meals to only one or two meals every other week. I’m in. I think I already do this. I’ve lost seven kilos since June and I’m not on a diet just eat a little less of everything despite my husband being a cookie monster. My main problem will be skipping sugar, candy, chips and similar things. It will be hard, but I hope to be able to change my habits instead of concentrating on counting calories. I’ve already startet to make my list, but can’t wait to see all your lists to get ekstra inspiration. What an amazing idea, I can’t wait to get started (all though I’m pretty happy I can eat all the nice stuff over christmas). If you’r still looking for moderators, I would love to help. Thanks Trine, I’ll be in touch next week! This is very intriguing! I recently had my second child, so I’ve been moving toward more simple meals and love the idea of keeping my pantry stocked with fewer ingredients (I’m a bit of a food hoarder right now). But because I have so many random foods in my pantry right now, I might have to have a cheat day once a week so that I can use up those items and maybe go out to eat without stressing over ingredients. My only problem is that I get a co-op produce basket every week and have no control over what I get. How could I make that work? Could I have a list of foods I buy at the grocery store and leave maybe 10 spaces empty for the “wild card” co-op items? What a great idea. This will help me stick to the seasonal vegetables and fruits which I know I should be doing but can’t seem to accomplish cause there’s too much in the fridge to choose from. Thanks for the idea. I’m really in need to streamlining my life. First my clothes and I thought that was great. Now the food. That rocks. I am going to try this, I’m thinking why not. Last year I fired all diets and waited for my weight to blow up. Didn’t happen, so this idea is my next step in my weight loss journey. Looking forward to the sharing and ideas. Working on the wardrobe as well! Not there yet, but, my wardrobe fits into one closet now no more rotating with the seasons, I just put coats to the back of closet when warm weather comes, ending my storing clothes. I’ve been following Ann Boroch’s “diet” for past 6 months. That “diet” (not really diet but a life long commitment) has quite limited food list plus I am a picky eater (don’t like many foods that most people like) so I’ve been eating the same thing over and over again for qite a while. It is indeed qite liberating to have only few ingredients to choose from. Courtney, have you heard of Ann Boroch? She is a doctor of naturopathy, she has cured her own MS through her diet plan and it has been 10 years and she had no signs of MS since. I myself don’t have MS but I have many gastroenternal issues and I found her plan to be extremly helpful for my well-being. She wrote two books (on Amazon), I think she is truly amazing. My standard grocery list has 156 items excluding spices, cleaners and pet items. Ack! I made it on Excel and highlight what I need each week. I eat a whole-foods plant-based diet while my husband is a SAD omnivore. I will follow this as it develops but I’m not sure I would be successful implementing it. I am IN! I need something to keep me in line and this may be the way I can achieve my goals for being more minimalist and less extravagant in my life. I am going to keep coming back to this page and will look for the one on Facebook. Keep all the good info coming. Those of us here are in need. I could try this for other ingredients maybe, but definitely not for vegetables and fruits. It is healthier to eat as wide a variety as possible. This helps ensure you get the range of vitamins and minerals you need (some important nutrients we may not even be aware of yet), helping to prevent cancer, type 2 diabetes, etc. I usually cook with 3 ingredients, so I may have 15 recipes–with some overlaps. I go off soda pop next year. That only leaves orange juice, milk, and coffee for beverages (not counting water.) Honey and molasses will be used solely as condiments. Courtney, I’m unemployed and would be glad to volunteer as a moderator. What do I do to apply? Thanks Rachel, I’ll get in touch with you next week! Love this idea! Do you suggest we box up staples that are not in the 33? Cheryl, I would get them out of sight if you’ll be tempted. This idea is pure genius. I already have a recipe binder with 20 favs that we select from each week, but it still seemed overwhelming. This is a fantastic idea. Can’t wait to jump in. Cheers. This could be sooo fun. Will start working on my list of food!! I’m all for simple meals made with God made food. It’s so much easier on the digestive system 🙂 . LOVE your list Colleen – it’s very similar to mine! Thank you Leigh!!! I could also easily live off your list 🙂 !! As someone who totally buys into the idea of simplifying life, I’ve really taken such a lot of inspiration from your ideas. This one has really got me thinking. We are bombarded with cookery programmes, supermarkets with thousands of different products, eateries on each street corner, it can be overwhelming. Food has got too complicated, and we waste too much of it. As a UK public health nutritionist, I’d be really interested in exploring with everyone the experience they have with this approach. Is it a neat way to cut calories? Do we already habitually purchase a certain set of foods? What is the nutritional adequacy of this kind of simplified approach? I’m certainly going to join the facebook page, but also if you would like some further help with moderation/advice I’d be pleased to offer some support Courtney. I haven’t yet posted my list of foods, but as someone on a restricted diet due to allergies and intolerances, I can tell you that we don’t need a wide variety of foods to meet nutritional goals. A small number of nutritionally dense foods will do the trick. People have not only survived, but thrived on diets consisting almost entirely of potatoes, or rice, or fish. I have tracked my daily intake for up to two years at a time, and the only thing I have been low on by US standards is calcium. Of course, the US standards for calcium are much higher than WHO or other countries, and in my inexpert opinion, it’s better to work on building bones through strength and weight bearing exercise and retaining calcium by reducing calcium-leaching salt, sugar, pop, etc. than to strive for a high calcium intake. As for whether or not it is a neat way to restrict calories… I have to say ‘no’. In fact, I find that when I have to restrict another food, I tend to gain weight filling up on others, trying too many new recipes, etc. I can’t really lose weight until I’m in more of a holding pattern, having figured out my new meal plans and habits. I’ve never had a problem consuming enough calories! That’s interesting – I would never ever want to do that. Why should I do that – there are so many great things to eat, why shouldn’t I savour them? Clothes are different for me, they easily get piled up and clutter the closet, one just seldom uses them up. But food is something I can use and then it’s gone – no clutter. I use at least 66 things regularly, without meat and fish (vegetarian) and not counting snacks and sweets and exotic things I like to try now and then. 100 things probably would be more realistic for me. But I always loved cooking and trying new recipes – I think I don’t cook most of my recipes more than twice a year, except for some all-time favourites – , and I was always good at planning my food and using up what I buy – I almost never throw away food and I don’t have many things in my pantry, I use things soon after buying and until all is eaten up. But reading all yout comments brings home to me again how different we all are. I have no idea how I learned being so good with food, I never found that difficult. But there are other areas where I struggle and struggle and other people say: That is easy, just do this and that – but I just don’t manage it. I hope I really manage not to judge other people and think that what is easy for me should be easy for them too. So I will follow interestedly how you all are doing and hope you will have a great experience with this. Yes! Yes! Yes! I am so in! I have my list and will give it a few days to steep to make sure but then I will make a post on my blog about this too. How do we get invited to the Facebook group? I think this is a great / scary idea! I struggle with eating healthy as my job requires me to be in the car all day traveling between client visits; and at the end of the day I feel too tired to really cook much. Would like to eat healthier, lose some extra weight. Also, my plan for retirement is to travel full time in a small RV and so simplicity of food and cooking will be a must. I had already started thinking about this but the challenge, and seeing how others implement this, will be a real inspiration!! What a great idea! I’m a few days late in reading about it, bit I’m going to start my list tomorrow! Where is the master list Courtney was to post on December 18th Cannot find it ? This is such a terrific idea!!! Food/meal planning is definitely the most challenging area of life for me!!! I’m wondering what to do with the 17 million ingredients currently in my kitchen? Annie, Sometimes ideas need some time to simmer. Thanks for being open to it. Awesome idea. I hate meal planning and honestly have not done it, too overwhelming. Please keep me posted or tell me how to sign up and that Facebook thingy. :). This is a fantastic idea!! Interesting. I saw “capsule kitchen challenge” and thought it would be something to help me cut the clutter in my kitchen drawers and cupboards (I was already thinking through a couple of knives I would need, couple of good cutting boards one for meat and one for non-meat, measuring spoons and cup, dutch oven, cast iron fryer, crock pot…). I use a pretty wide variety of fruits and veggies in my cooking, so those would take up a lot of my list. I’ll see what I can do, though! It’s too bad that the Facebook group is “open”. I hate the fact that everything you say on an open group is posted to your timeline, so I refuse to join them. Ah, well. Sorry Pamela! I thought a topic like this would be ok to stay open and it’s much easier to manage. I’ll be thinking of other ways to connect moving forward.